Wacom has unveiled a new addition to their range in the form of the Cintiq 13HD Touch which builds on the technology used in its previous drawing tablet the Cintiq 13HD that was launched last year but without touch capabilities. The new Wacom Cintiq 13HD Touch now provides multitouch support and has pushed down the price of the older device to just $800. As with all Wacom digital tablets the new Cintiq 13HD Touch supports both PC and Mac systems and once connected to your preferred platform provides a pressure sensitive tablet allowing you to draw directly onto the screen. “With a new, ergonomic design, the Pro Pen provides a more comfortable feel than ever. You can also count on precise control, thanks to Wacom’s 2048 levels of pressure sensitivity and tilt recognition. The pen responds to the slightest nuance of your touch, as you press the pen against the tablet surface, for complete control of brush width and opacity. 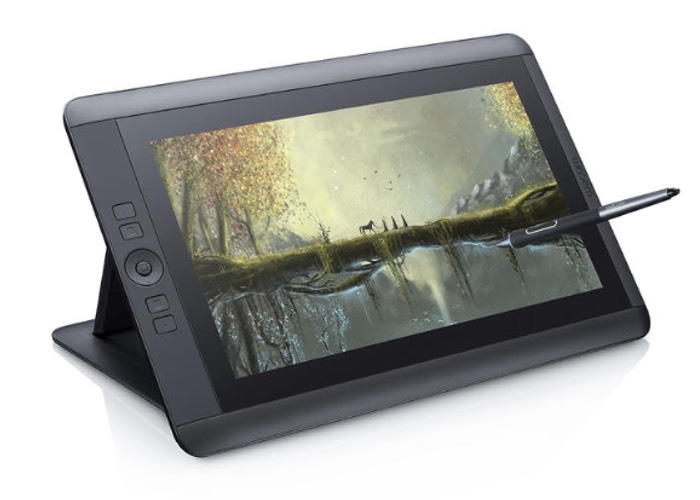 For more information on the new Cintiq 13HD Touch jump over to the Wacom website for details.